Convenient high traffic visibility interstate location on I-55/Exit 123 at Hwy B (Biehle) at Perryville, MO. The property is 2 acres +/- and is adjacent to I-55 and fronts on Hwy B. Construction is wood frame, concrete slab floor with metal exterior. 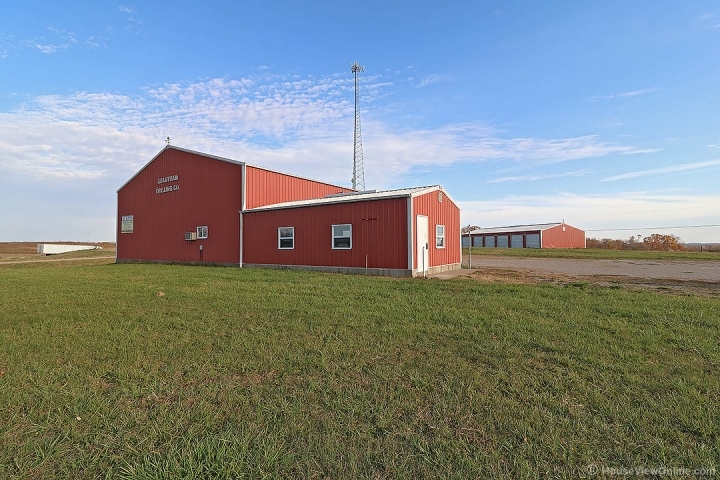 The main building is 48'x64' with a 18'x30' addition for office or additional storage. The main building is approximately 3612 sq. ft. The shop/warehouse, has 16' clearance, two 14' overhead doors, entry door, break room, and restroom. The second building built in 2016 is 30'x62'x8 and is presently built out for 11 storage units, ten are 10'x15' and one unit is 10'x30'. Excellent mixed use property, located in Perry County, no zoning restrictions in place.